So last week, I totally copped out. But this week, even though I've been on a wee bit of bedrest (baby's ok and it's hopefully ending today, yay! ), I was prepared. Clearly, bed-rest comes naturally to them. Once upon a time, I belonged to a produce co-op. It was a good idea, got us to eat our vegetables, but had some draw backs, namely driving nearly an hour each way early, early, early on Saturday mornings to get food that claimed to be local couldn't possibly have been. You cannot convince me that Dole bananas are grown in Texas. So that didn't last long. This summer, I discovered a CSA that you sign up for only on the weeks you want, and they deliver right to your door. Better yet, you know in advance what you're getting and can customize it. The website even tells you specifically what farm grew which items. I had visions of us becoming patrons of our favorite farms, and totally insufferable foodies to boot. So we gave that a whirl, but the two times the produce box arrived, there were sub-par items: lettuce that shouldn't have been yellowed, blackberries that had begun to mold, tomatoes that spoiled within 2 days, so I don't think we'll be getting it again. The first time it happened, I sent them a very stern email and promptly received apologies, refunds, future discounts, and guarantees that this was not the norm, but then it happened again. Good bye and good riddance. The one thing I will miss is the "farmhouse add-on." For a little extra, you can add on products from regional bakeries and farms. Yummy things like goat cheese, goat's milk, jams, honey, sachets of iced tea big enough for a pitcher, pecans, zucchini bread, all manner of goodness. This last delivery included pie. Tiny Pies based out of Austin, makes individual pies in half-pint mason jars. They arrive frozen, so with a quick pop in the oven you have the fresh tastes of oven-baked goodness. They have a variety of flavors from the savory potato leek (yes, please) to the more traditional blueberry or pecan, and also some unique combinations like strawberry basil. They also sell not-so-tiny pies and pie pops (which sound way better than cake pops), and suggest their tiny pies as wedding favors/name place card holders, which might not be economical, but would be delicious. It just so happened that the last farmhouse add-on included a Fredericksburg Peach tiny pie, perfect for sharing. The crust was flaky and abundant. The filling was perfectly spiced with cinnamon and lemon. I'd totally go back for more. Oh wait! It's all gone, and has been ever since the gloriously delicious 10 minutes after I pulled it from the oven. Now all we're left with are the memory and a perfectly sized jar to hold the leftovers from a meal cooked for two. Growing up, my mom would freeze pies before she baked them, so it's totally possible that this could be an at-home endeavor for someone with the inkling...and the freezer space. For more inspired recipes, go visit Tasha and Jessica to see how they featured the mystery ingredient. Tasha's hosting the link-up and I'm in charge of next week's ingredient. 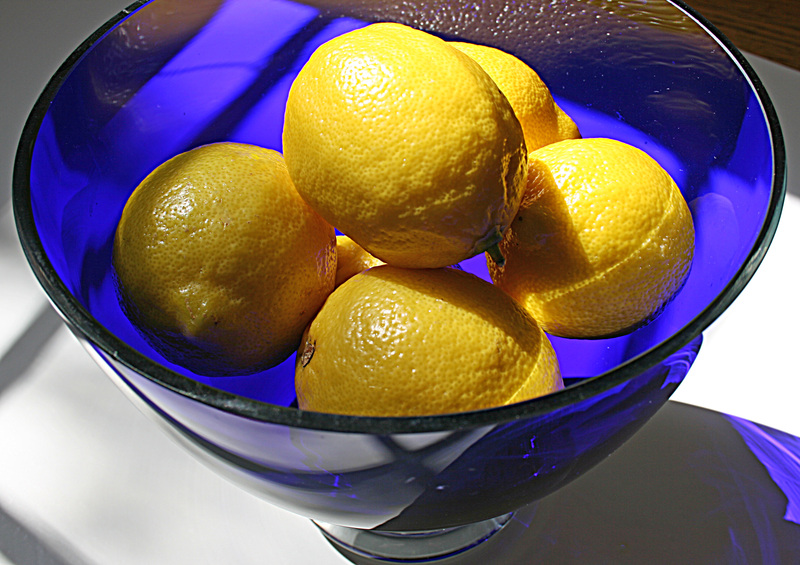 Pucker up, because next week, we'll be using lemons! Since they can be used in savory or in sweet, using zest, rind, juice, slices or curd, I'm hoping I'll think of something that Baby Bazin agrees with. If you want to play along but don't have a blog, instagram or tweet it #mysteryingredient, or tag us in a facebook post about your dish so we can marvel your creativity. See you here for next's weeks link up! Lemon Love! I should have been working on my peach post, but I have spent this last hour re-working Grillitatis Splendor, Patrick's grilling tome. I'll crank it out later though, J willing. We ate nectarines sliced up as an after swimming snack. That sort of counts, right? That pie looked so cute and delicious! I've been suspicious of the CSA baskets here too, not sure if I want to jump on the bandwagon or not. We love pie in our house-peach is sooo good! Lemons...ohhhh... So many things. And it doesn't have to be a dessert! Bam! Those are adorable! Goodness knows I love easy. We have also had hit and miss experiences with co-ops, I guess we keep trying because when they are good, it is so good.